I decided to walk from the Bowen Bridge around Dowsing Point towards the Derwent Entertainment Centre on the Glenorchy side of the bridge. A faint track showing occasional foot traffic looked promising and became my guide. Early in the walk along this track, easy views to and access to the water were not possible although as time passed the river came into constant view. 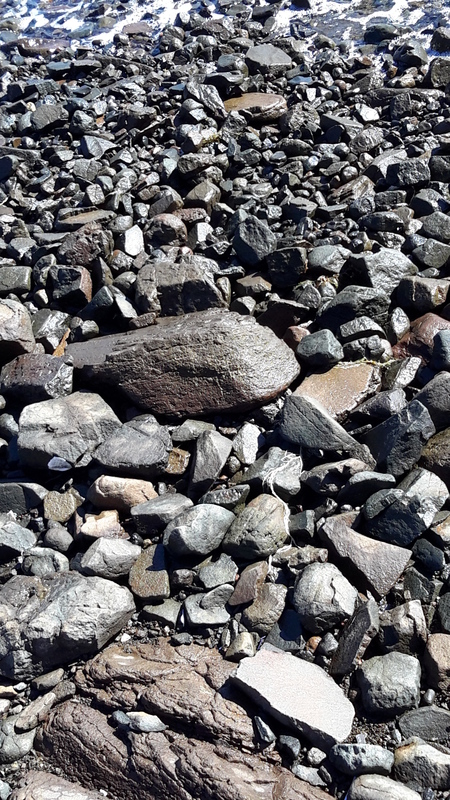 Then the pebbled and rocky shore appeared. I was delighted when I came across a slight semblance of a track down to the river’s edge. 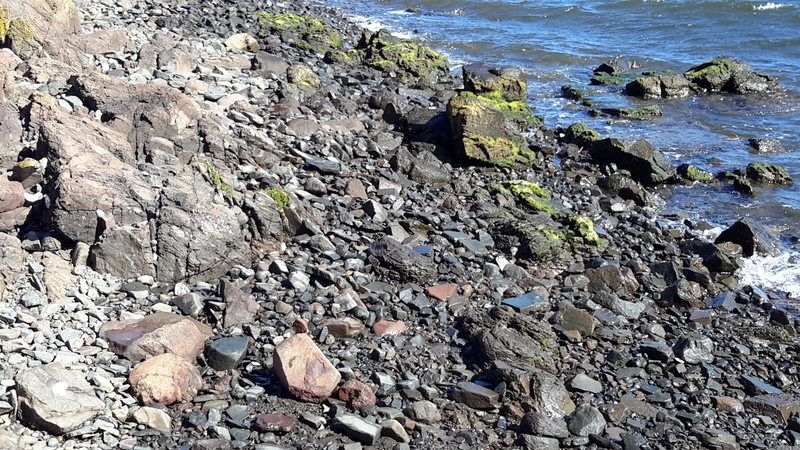 Soon I was on the shore and walking that rocky ‘beach’. The wind was fierce but not cold. My sunhat had no chance of staying attached to my head. I lathered on the sunscreen hoping for wind protection. But it was fresh and invigorating. The air was alive and so I felt even more alive. 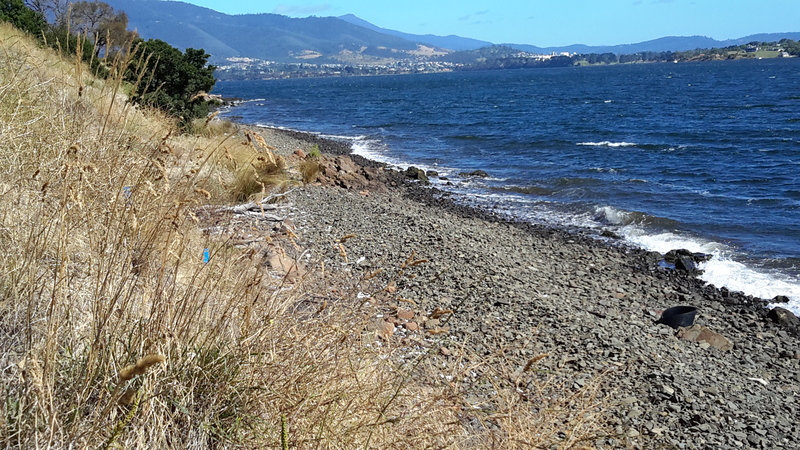 And so pleased that my return visit to Dowsing Point had been able to bring me down to the water of the Derwent River. 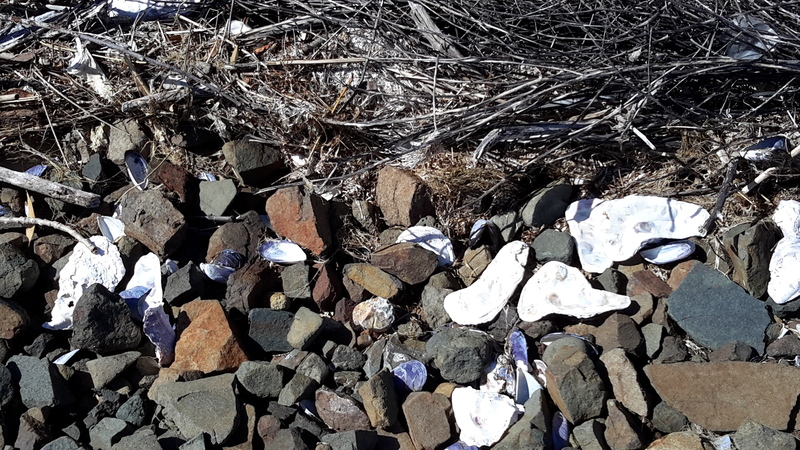 Clearly native oysters grow on the rocks near the shore. The whitening shells of long dead oysters were thrown up at the high tide level. 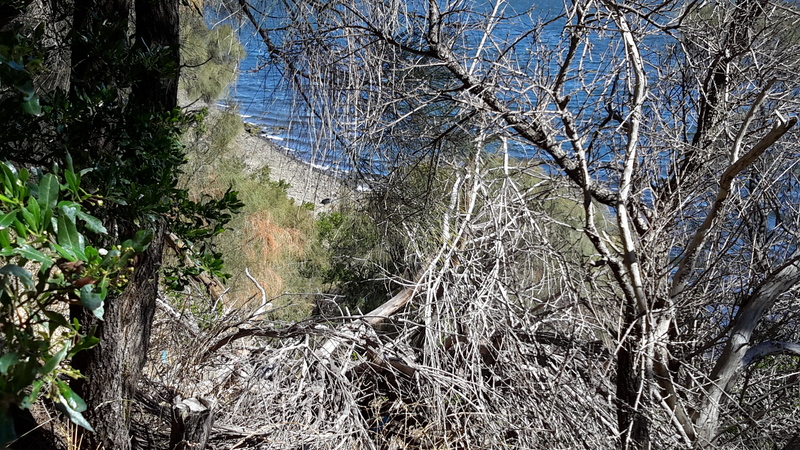 I was surprised not to see any Australian Pied Oystercatcher birds looking for a meal. 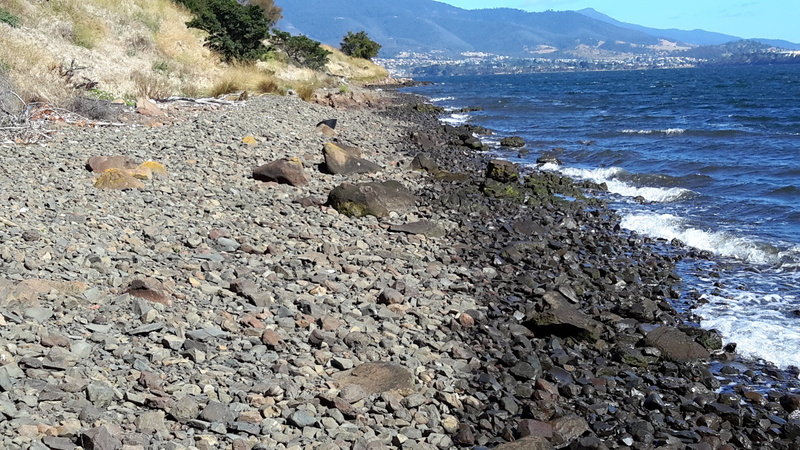 I continued walking around the contours of Dowsing Point, thankful that the tide was out and the shore was wide enough, dry enough and had no insurmountable obstacles. 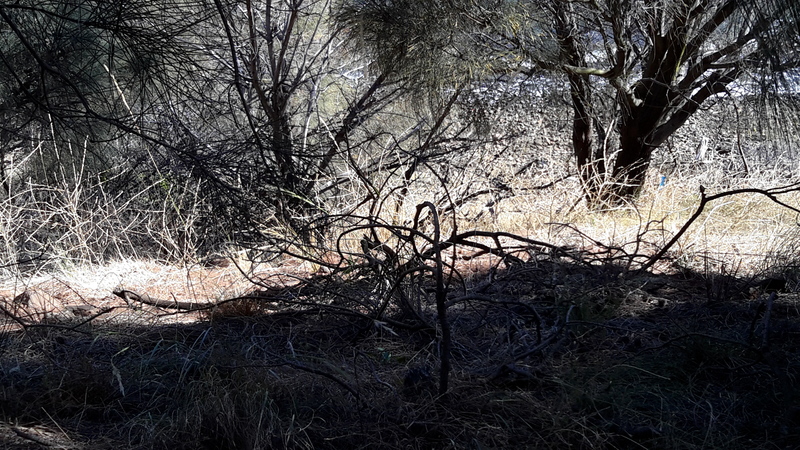 But beneath the northern section of the fenced-in defence forces precinct suddenly the ground became marshy and a trickle of water in a swampy like environment emptied into the Derwent. I did not believe this was passable. 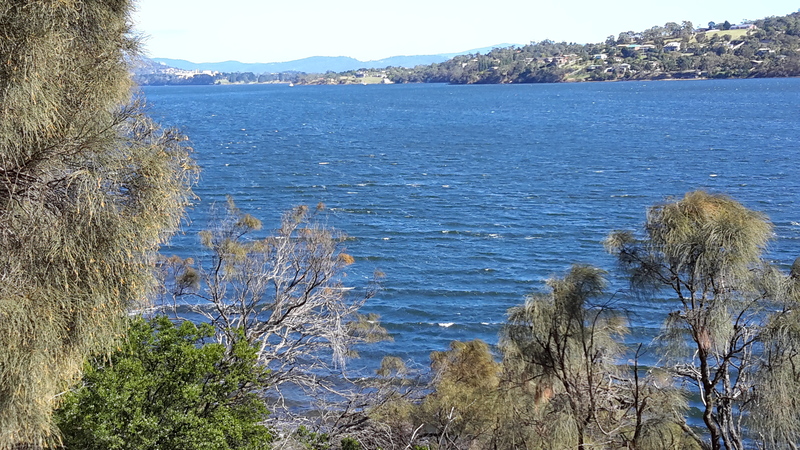 Perhaps if the tide had been lower and if I was wearing gumboots, I might have continued. 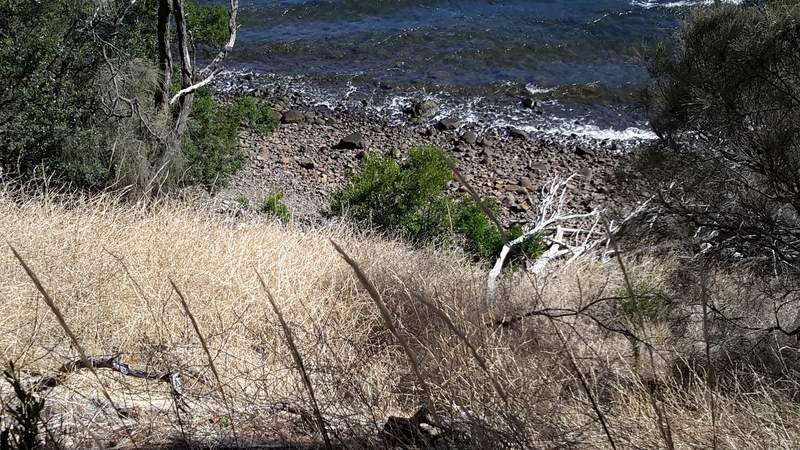 On another day, this most likely could be a doable section and one I could tackle from the Derwent Entertainment Centre end of the walk. 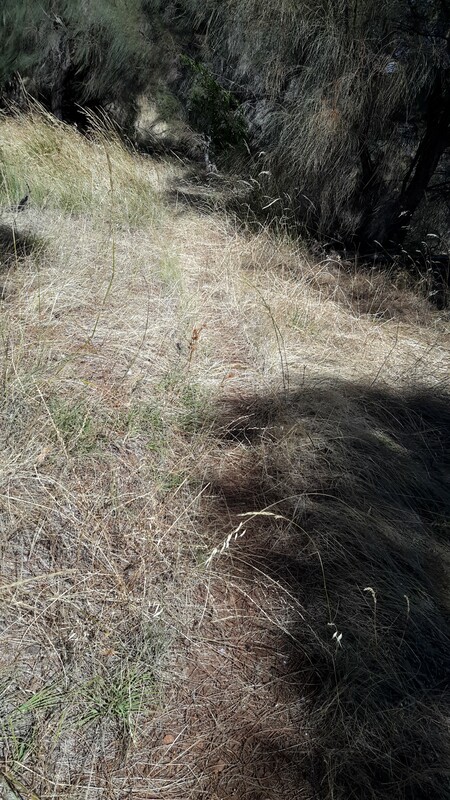 After searching unsuccessfully for alternatives, eventually I retraced my steps, and climbed a grassy hill for another view of the obstacle – which looks benign in the photo below. 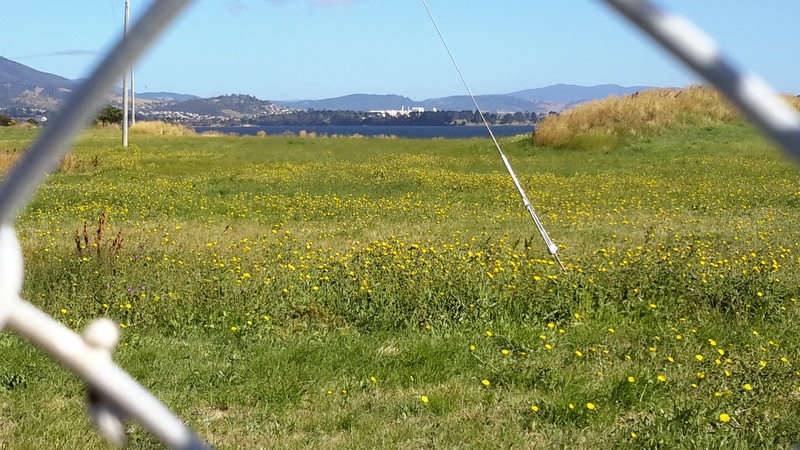 I have walked along the Dowsing Point suburban streets with paddocks at their ends that extend to the shoreline shown above, such as Park Road and Dwyer Place. 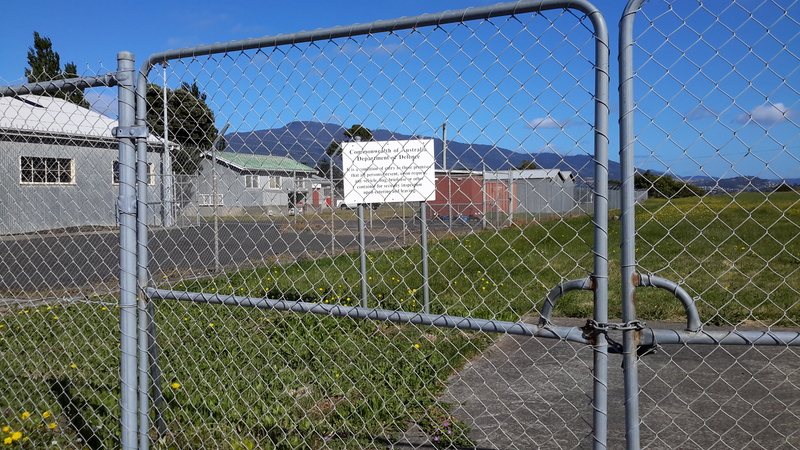 Unfortunately high fences, locked gates and dead ends prevent access to this defence forces land. Trespassers Prosecuted signs were a deterrent. 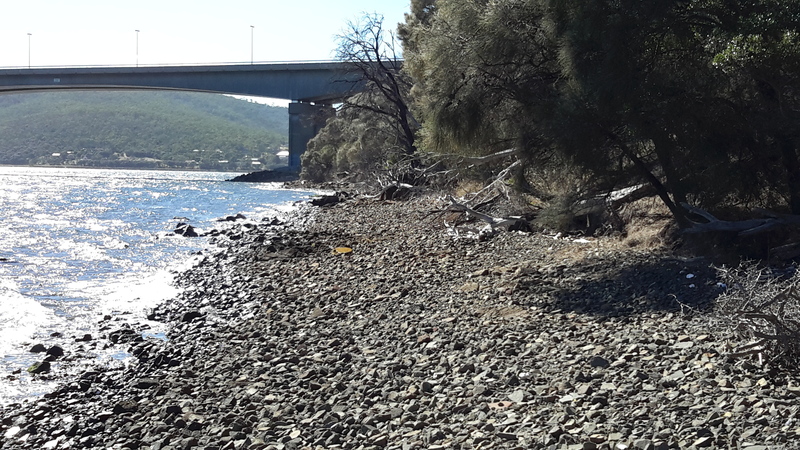 From the obstacle preventing my continued shore walking, I turned back and walked towards the Bowen Bridge. Eventually I left the beach after reconnecting with the hillside track used earlier. 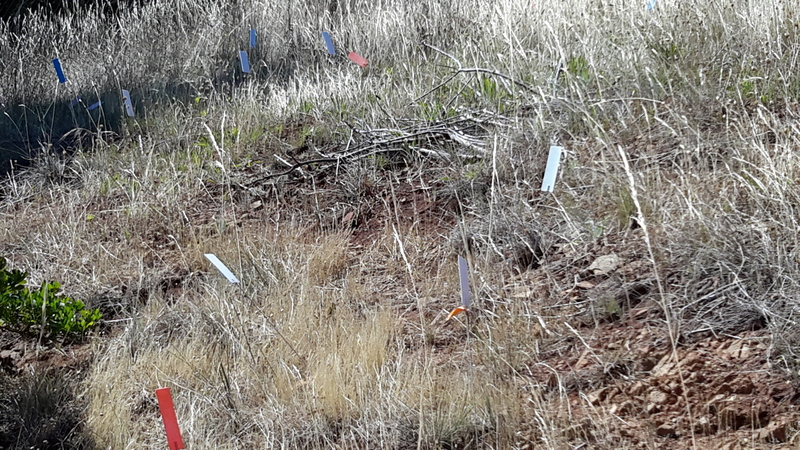 Occasionally, next to the faint track through the grass, someone had placed track markers – coloured rectangles on posts. Very thoughtful. 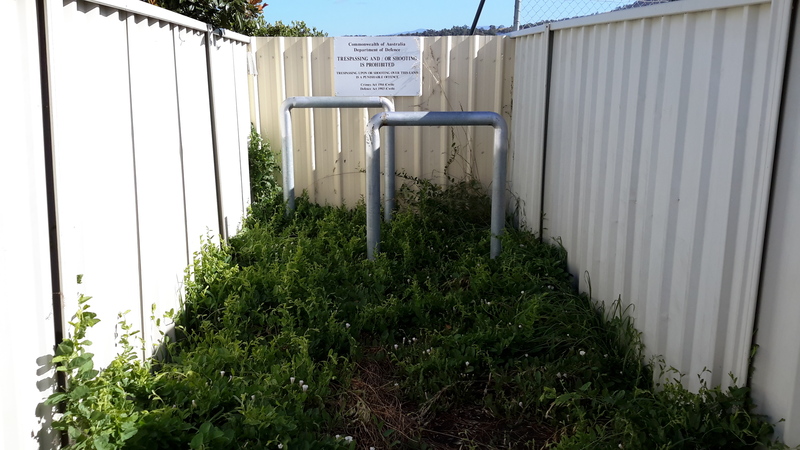 On the way back I found a wonderful confusion of markers; just as we know some mailbox catalogue deliverers dump a pile of undelivered catalogues in drains or over someone’s fence, it seemed the person placing the track markers dumped his/her extras. So there I was, faced with an amusing mini-forest of markers all pointing nowhere and signifying nothing. The markers of mankind are always there to be found, and to be puzzled over by those without experience. But I found my way and soon returned to the Bridge. 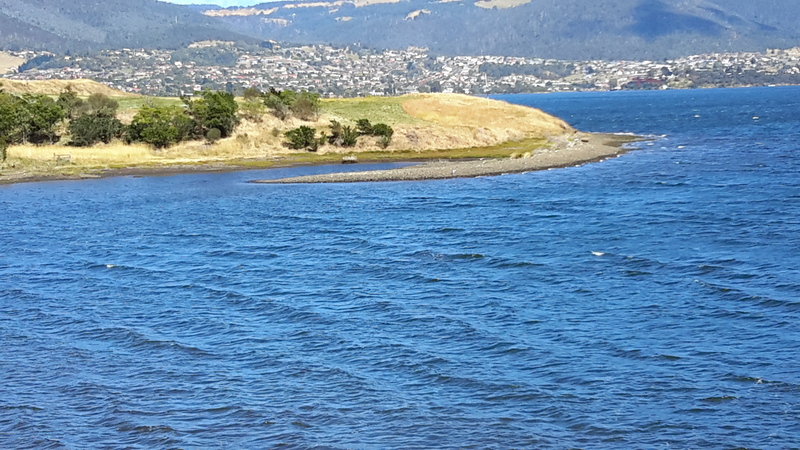 This entry was posted in Derwent River, Tasmania, Walking and tagged Bowen Bridge, Derwent Entertainment Centre, Dowsing Point, Glenorchy, oyster on February 25, 2017 by Tasmanian traveller.